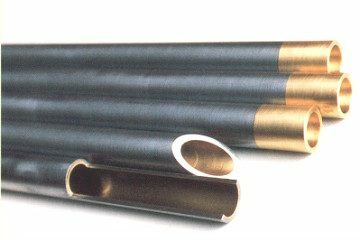 Steel pipes used in power plants, oil refineries, cooling equipment, and a variety of other heat exchange devices. 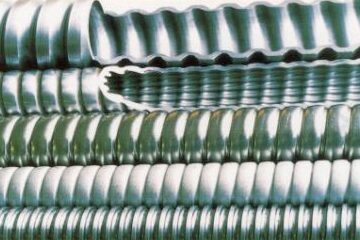 Low finned tubes involve rotational processing of the outer surface of steel tubes to create a fin shape. 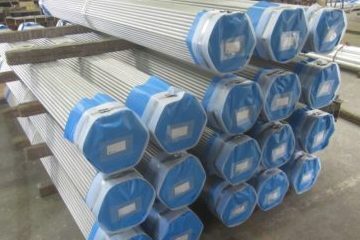 A steel pipe length of 25.4 mm (1 inch) per fin and 19 fins is a design often used. We can also produce units with 26 fins. 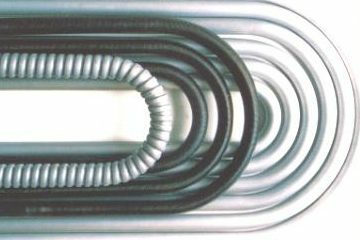 The pipe’s outer surface area becomes 3.5 times that of the inner surface area and possesses superior heat transferability compared to normal, round pipes. By improving the heat transferability of a pipe, we can minimize (capacity, weight reduction) into a variety of devices, reduce material cost, reduce shipping cost, and improve the amount of space taken up. 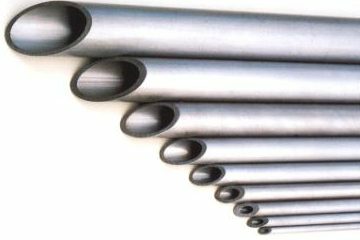 The uses differ, but as far as pipes with an increased outer surface area are concerned, they are all tubes with welded peripheral fins onto steel pipes, also known as high fin tubes. 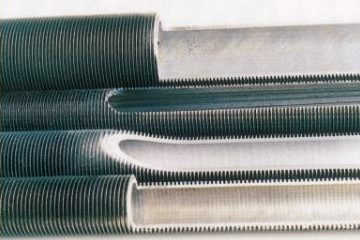 Low finned tubes involve the formation of fins by direct rotational processing of steel pipes, meaning there is no worry of detachment even if later bent. 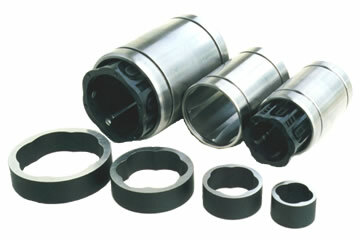 Moreover, they possess excellent durability and anti-vibration properties once put into operation. 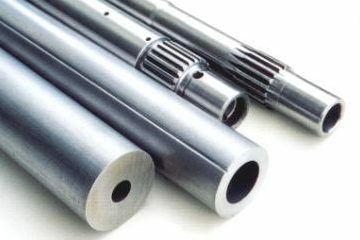 Even high finned tubes can undergo inspection through a partnership with cooperating companies, so please feel free to inquire. 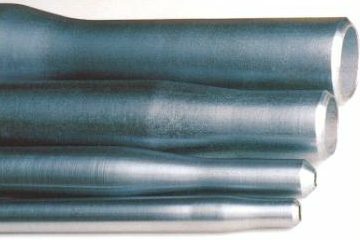 With high finned tubes, fins can be made from aluminum or stainless steel. 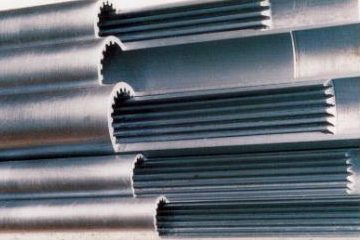 By combining cold draw steel pipes and high fin processing, we can respond to customer’s material, delivery deadline, and quantity needs within the scope of reason. + food processing and refrigeration industries. 26-fin units are also available. Please feel free to contact us about 26-fin unit dimensions. We can provide the outer diameter of 15.88 mm, 19.05 mm, or 25.40 mm. We make products with 19 fins per inch (25.4 mm). Rotational processing gives the pipe a larger outer surface area than the original pipe. Please feel free to contact us about dimension details. After processing fin, we carry out excess current deep damage testing. Moreover, all units can undergo SR per customer request. The minimum length for the middle land is 25±5 mm and unprocessed dual end minimum length is 25±5 mm. Incomplete start/end fin processing length is, in total, less than 120 mm. 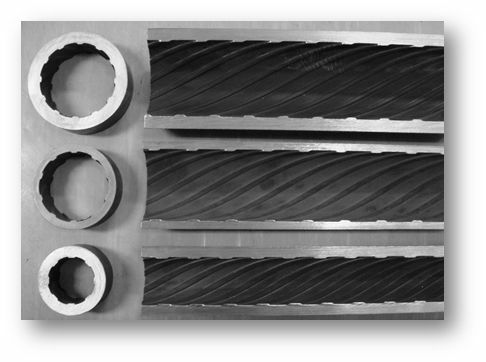 Maximum length for fin processing is 19.5m or less, and total length tolerance is +10 mm/-0 or ±5 mm. We can also make post-fin processing U turn bending. In this case, we can fabricate the R portion with or without fins.